Choosing A Camp: Is There a Change in the Air? Overnight camp gives children the opportunity to gain independence, build self-confidence and become part of an intentional, supportive community. Going to overnight camp is a big milestone in a child’s life but when is the right time to send a child to sleepaway camp? Even a child who might be ready for the experience may feel some nervousness and hesitation. 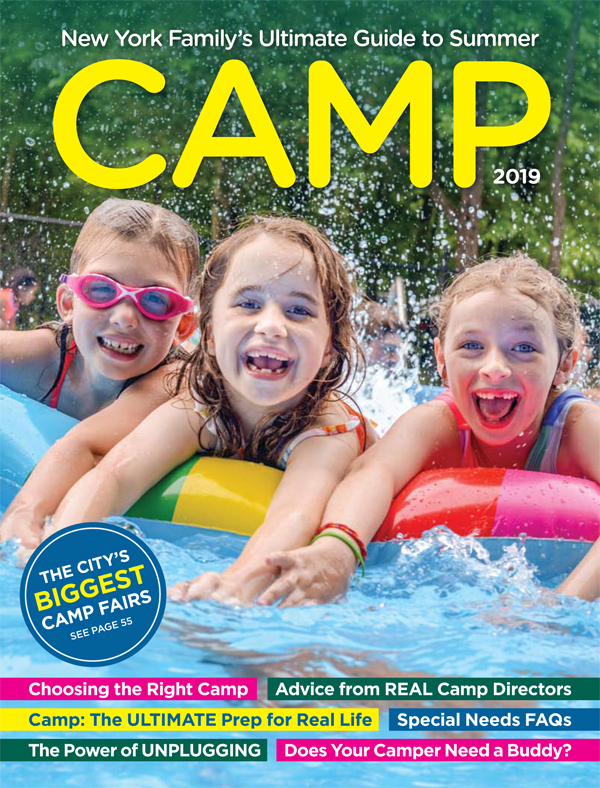 “If a parent feels their child is ready for overnight camp but their child is nervous, that’s no reason to not send a child to camp,” says Jill Kleinman, Owner and Director of Camp Taconic, a seven-week co-ed overnight camp in the Berkshires. “One of the best ways to prepare a child for camp is to answer all their questions and to paint the picture of what camp will be like. Involving your child in the packing process and speaking with the director about finding another camper close by to make an initial friendship with who may become a best friend or just a familiar face for the bus ride to camp and for the first 24 hours can be helpful for getting your child ready.” Kleinman also addresses common concerns on camp tours and at the new camper get-together. “We talk about the fact that kids will get sad and that no one is 100% happy all of the time at camp or anywhere, but there are counselors and staff to talk to at camp just like you would talk to mom and dad,” she says. It’s important to be honest with camp directors when researching new camps for your child to switch to. “Let the director know what worked and didn’t work for your child at his former camp,” Leonard comments. “You also want to be honest with how your child got along with friends and if switching camps is because of relationships or the program. Both parents and directors want to make sure the transition is as seamless as possible so the more information you can provide, the better.” Flax suggests that parents tell the directors about their child, warts and all. “Don’t try to paint a glossy picture if that is not the reality. If at the end of the process, the camp director shares with you that they don’t think this is the right camp for your child, be grateful that you were forewarned. Continue your search until you find the right camp and the right camp directors to make this a good transition,” she says. Kleinman notes that while it’s easier to begin camp when everyone is starting camp at the same time, campers at her camp have had success starting at age 11, 12, or 13, especially if the child is outgoing. “Switching camps at an older age can be more difficult but it’s not impossible,” she says. “The camp director should always meet the child and get a feel of his or her personality and which returning campers might be a good fit for that child based on interests, personality and home proximity. This pre-camp planning will help make a camp change easier.